I was guest at Pencoed RFC Under 14’s last week and enjoyed a great training session with the team and their coaches at Brackla. 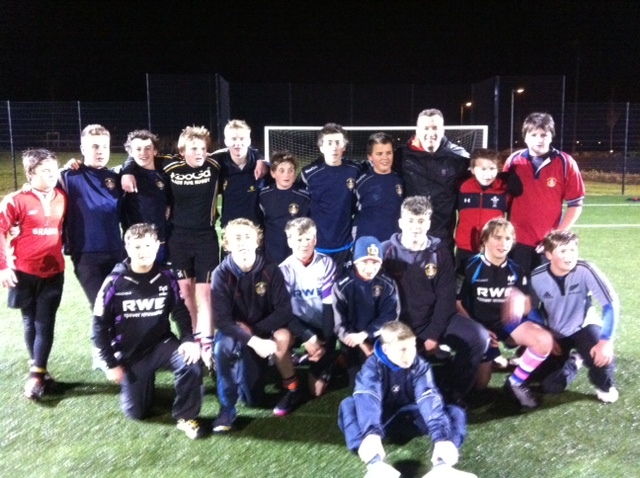 The team has some fine young players including three that have already played for Wales Rugby League at this age group. After playing some conditioned touch games and giving the team some tips and ideas the boys showed me some of their plays and skills. I must say I was mightily impressed and a big thank you goes out to all the players, coaches and parents for the fantastic welcome I received. Rugby was the winner boys! A big thumbs up ! !